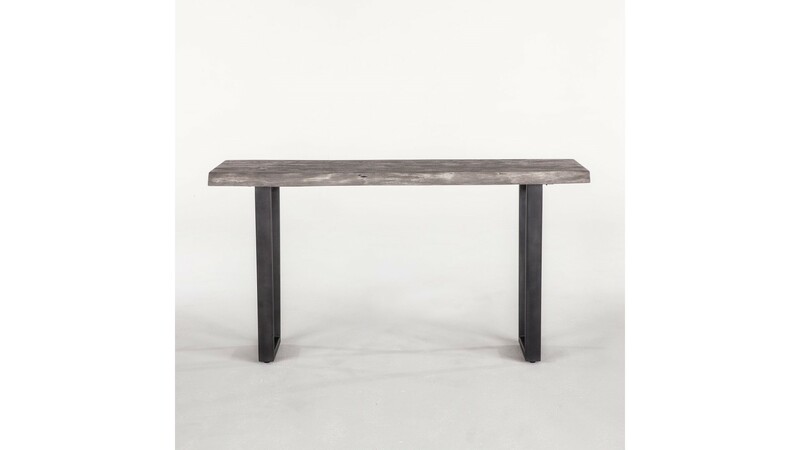 The simplicity of the Steamboat collection exemplifies the modern era. 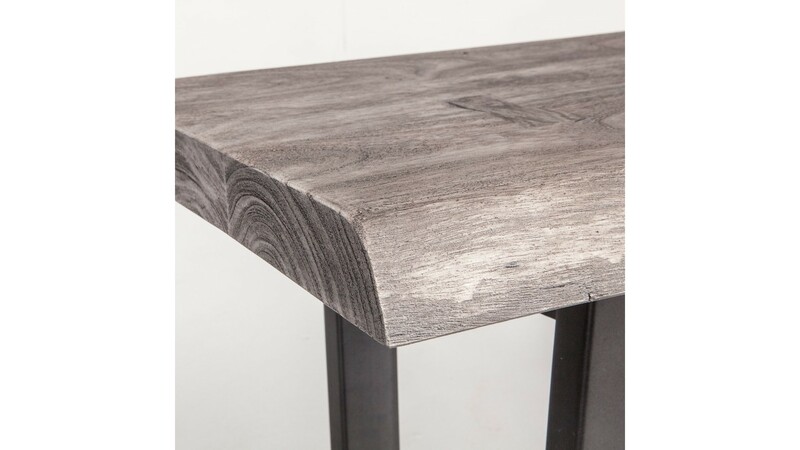 With its live edge and dynamic wood grain, the solid Acacia top is the highlight of this collection. 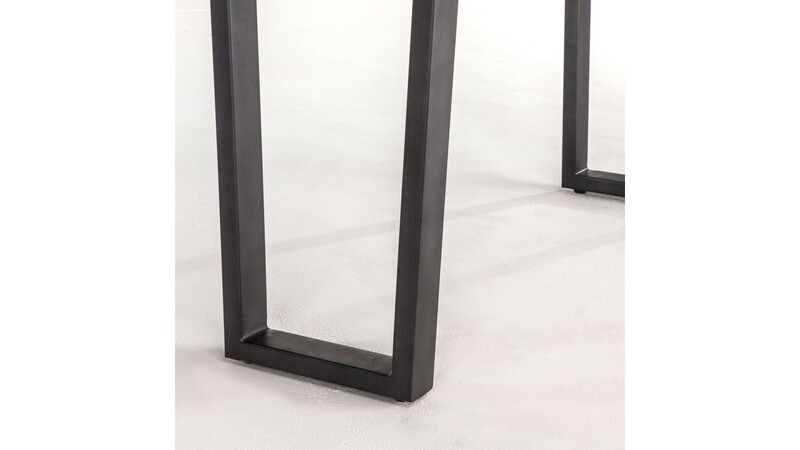 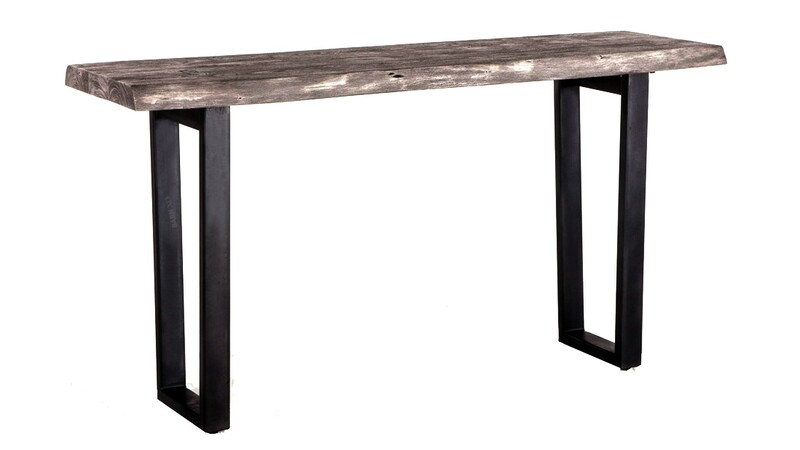 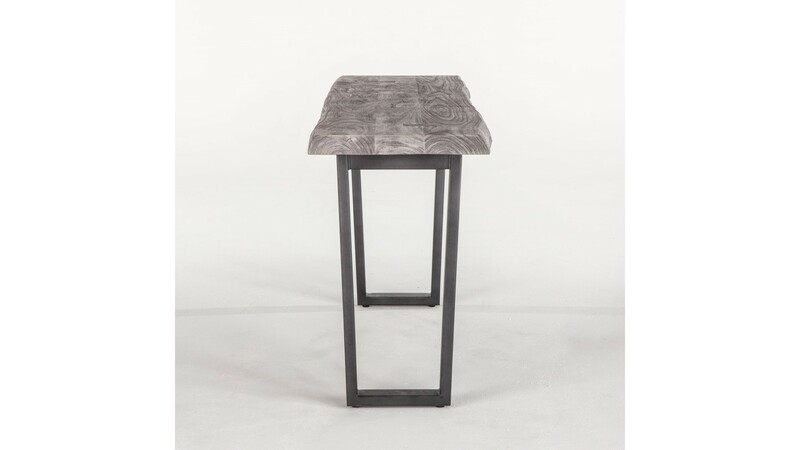 Each piece is supported by metal "U"- shaped legs and the tops are coated with a catalyzed, water-based weathered gray finish for ultimate durability and beauty.